Do you remember the absolute disdain you had for furniture shopping as a kid? When the parents pulled the car up outside of a furniture store, you knew what was coming: an entire Saturday ruined. What was so great about a tufted headboard?! You know the answer to that silly child’s question now: it was the headboard’s vintage bravura. Times have changed and so have you. Sure, you used to think furniture shopping was a giant waste of time, especially when you didn’t understand the differences between an Eames chair and its knock off. But now, now you appreciate the arabesque, glittering arms of a crystal chandelier. You value the brass finish of cabinetry hardware. A green, velvet tufted sofa gets you spinning with glee. Clearly, you’re an eclectic collector. Are you looking for ways to bring antique-insured fixtures into your home? Here are three ways to do it! 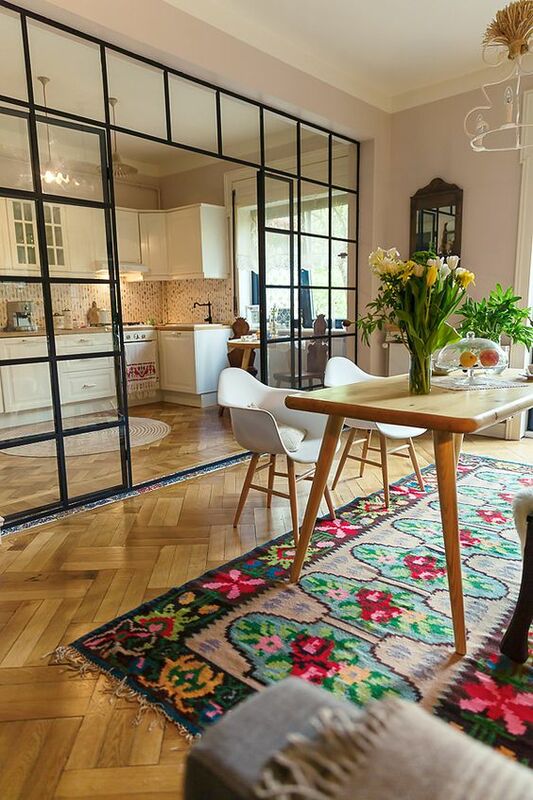 After poring over design options for your home, you likely noticed that Victorian and Crafstman-styled houses often have a family or gathering room with a large Turkish rug. The rug is weaved in warm colors with lively illustrations of flora and fauna. 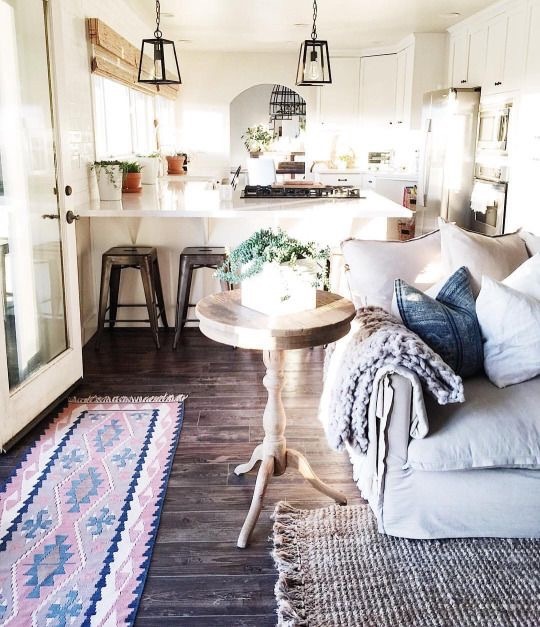 The Turkish rug makes the space look and feel warm, cozy and familiar. In modern spaces the flooring is covered by abstract and animal print patterned rugs, bringing vibrant pops of color into the space and creating an animated and exciting vibe. HouseBeautiful notes that you don’t have to choose between having one or the other, you can have both! To create a powerful contrast between rooms (or even within the same room) mix and match patterns. By doing this, you will invoke a sense of play in your space and generate contrast between the seriousness of the traditional and the flippancy of the post-modern. A living room is unfinished without an easy chair. Think about it: no doubt every living room you have wandered into has had an easy chair. No, this isn’t about Grandma and Granddad’s sapphire blue Lay-Z Boy; that’s not antique, that’s sad. No, the easy chair you need to satisfy your antique and modern lusts is the Atwood Chair designed by Gus Modern. The tufted Atwood chair tasteful, smart and fun. The pastel tweed fabric framed by the dark wood frame combines the natural beauty of the Arts and Crafts Movement and the spirited abandon of the post-modern. This chair offers a delicate balance of freedom and restraint; exactly what everyone needs! If the furniture feels right but something still seems off in your home, it more than likely has to do with the light fixtures in the space. Outdated light fixtures that emit a weak yellow light almost seems to drain energy. It doesn’t actually do this, but it feels like it. 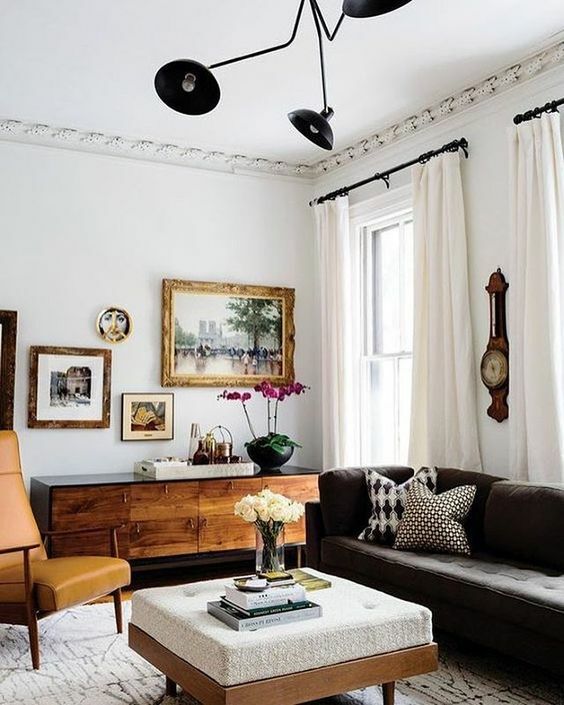 You can still have your antique tastes and see well too with modern light fixtures that have been designed with the style and elegance of yesteryear’s classics in mind. A notable brand to check out to achieve the modern/vintage look you’re going for is with Sea Gull Lighting. In business since the end of the First World War, Sea Gull’s designers have taken the romance, warmth and charm of decades past and have molded them into modern and sophisticated lighting fixtures. 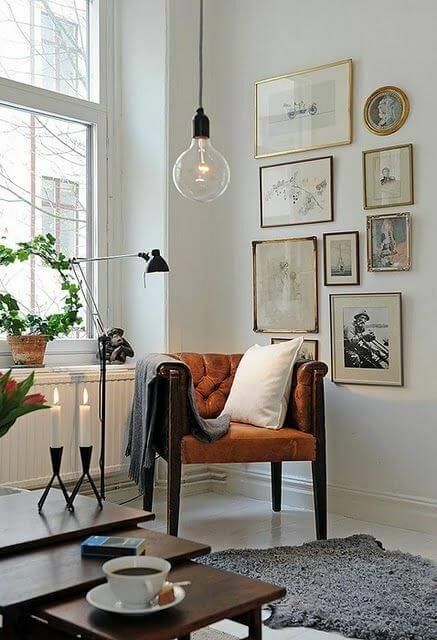 The Belton Mini Pendant for example takes the Edison bulb, frames it with a clear, seeded glass shade and caps it with an heirloom bronze pipe-modeled support rod. Having a mini pendant like this hanging above your kitchen island would “shine a light” on your extraordinary interior design skills! Decorating your home should be and is easy, especially when you know what you want. Don’t hold anything back: live in the home you’ve imagined for yourself!